Peppermint tea is a highly fragrant and distinctive herbal brew or tisane that can be enjoyed hot or over ice. The refreshing tea is made from the leaves of the peppermint plant, which originated in Europe and Asia. Varieties of the peppermint plant now grow around the world. In addition to its pleasing aroma and appetizing flavor, this delicious tea has been used for more than 3,000 years as a medicinal remedy, according to historical Greek, Egyptian, and Roman records. The plant's primary, active property is menthol, which is what ascribes the sought-after tea's many therapeutic properties. Naturally caffeine free, peppermint herbal tea has shown to help soothe upset stomachs, aid digestion, calm irritable bowel syndrome. It also is thought to relieve stress and treat minor headaches. Drinking the mint tea can also help calm menstrual cramps and related symptoms. In addition, peppermint can help lessen the symptoms of coughs and colds, sore throats and allergies. However, the mint herb has muscle relaxant properties, which may produce harmful effects on people with gastroesophageal reflux disease (GERD). It is important to always consult with your doctor before using herbal remedies and consuming tea for medicinal purposes. Immerse two tablespoons of dried mint leaves into four cups of boiling water. The leaves can be purchased from a health food store or tea retailer. Cover and let steep for ten to twenty minutes, depending on taste preference. Strain the tea leaves and serve. You may sweeten your tea with sugar, stevia, honey, or a peppermint candy stick, if desired. To create a unique-tasting brew, you can blend peppermint leaves with spearmint leaves or other botanticals. Examples include hibiscus, blue mallow flowers, chamomile, cinnamon, coconut, tulsi, lemon grass and/or other herbs. Specialty tea shops often sell their own peppermint herbal blends. 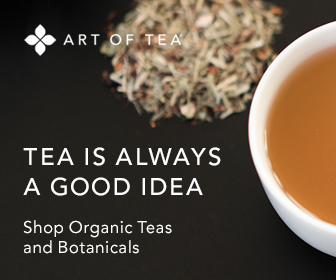 For those who want added convenience, a number of commercial tea companies package and sell boxes or cans of peppermint tea bags, which can be found in most grocery stores and major retailers. You can also buy peppermint herbal tea, under different brand names, that is already brewed and bottled. Yet, making your own mint tea using fresh, dried mint leaves will yield the best tasting brew. It will also provide the greatest health benefits from consumption.